This article is about the guidebook publisher. For the theatrical work, see Lonely Planet (play). For the song, see Lonely Planet (song). 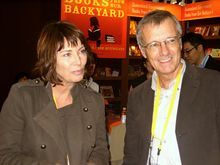 Lonely Planet was founded by married couple Maureen and Tony Wheeler. In 1972, embarked on an overland trip through Europe and Asia to Australia, following the route of the Oxford and Cambridge Far Eastern Expedition. The company name originates from the misheard "lovely planet" in a song written by Matthew Moore. Lonely Planet's first book, Across Asia on the Cheap, had 94 pages, was written by the couple in their home. The original print run consisted of stapled booklets. Tony returned to Asia to write Across Asia on the Cheap: A Complete Guide to Making the Overland Trip, published in 1975. The Lonely Planet guide book series initially expanded in Asia, with the India guide book in 1981, and expanded to rest of the world. Geoff Crowther was renowned for frequently inserting his opinions into the text of the guides he wrote. His writing was instrumental to the rise of Lonely Planet. The journalist used the term "Geoffness", in tribute to Crowther, to describe a quality that has been lost in travel guides. By 1999, Lonely Planet had sold 30 million copies of its travel guides. The company's authors consequently benefited from profit-sharing and expensive events were held at the Melbourne office, at which limousines would arrive, filled with Lonely Planet employees. In 2007, the Wheelers and John Singleton sold a 75% stake in the company to BBC Worldwide, worth an estimated £63 million at the time. The company was publishing 500 titles and ventured into television production. BBC Worldwide struggled following the acquisition, registering a £3.2 million loss in the year to the end of March 2009. By the end of March 2010, profits of £1.9 million had been generated, as digital revenues had risen 37% year-on-year over the preceding 12 months, a Lonely Planet magazine had grown and non-print revenues increased from 9% in 2007 to 22%. Lonely Planet's digital presence included 140 apps and 8.5 million unique users for lonelyplanet.com, which hosted the Thorn Tree travel forum. BBC Worldwide acquired the remaining 25% of the company for £42.1 million (A$67.2 million) from the Wheelers. By 2012 BBC wanted to divest itself of the company and in March 2013 confirmed the sale of Lonely Planet to Kelley's NC2 Media for US$77.8 million (£51.5 million)—, at nearly an £80 million (US$118.89 million) loss. Lonely Planet's online community, the Thorn Tree, was created in 1996. It is named for a Naivasha thorn tree (Acacia xanthophloea) that has been used as a message board for the city of Nairobi, Kenya since 1902. The tree still exists in the Stanley Hotel, Nairobi. It is used by over 600,000 travelers to share their experiences and look for advice. Thorn Tree has many different forum categories including different countries, places to visit depending on one's interests, travel buddies, and Lonely Planet support. In 2009, Lonely Planet began publishing a monthly travel magazine called Lonely Planet Traveller. It is available in digital versions for a number of countries. Lonely Planet also had its own television production company, which has produced series, such as Globe Trekker, Lonely Planet Six Degrees, and Lonely Planet: Roads Less Travelled. Toby Amies and Asha Gill ( both British TV presenters ) took part in the Lonely Planet Six degrees. A mention in a Lonely Planet guidebook can draw large numbers of travellers, which changes places mentioned. For example, Lonely Planet has been blamed for the rise of what is sometimes referred to as 'the Banana Pancake Trail' in South East Asia. In 1996, in response to a "Visit Myanmar" campaign by the Burmese military government, the Burmese opposition National League for Democracy (NLD) and its leader Aung San Suu Kyi called for a tourism boycott. As the publication of Lonely Planet's guidebook to Myanmar (Burma) is seen by some as an encouragement to visit that country, this led to calls for a boycott of Lonely Planet. Lonely Planet's view is that it highlights the issues surrounding a visit to the country, and that it wants to make sure that readers make an informed decision. In 2009, the NLD formally dropped its previous stance and now welcomes visitors "who are keen to promote the welfare of the common people". In March 2019, Lonely Planet posted a video in Facebook falsely claiming that the Banaue Rice Terraces in the Philippines were created by "Chinese", leading to criticism. The magazine later tweeted in April 2019 that their Facebook video was indeed "misleading", and that they would update the next Philippines book edition, but will not pull out current editions that already wrongfully state that the terraces were made by the Chinese. ^ "About Us". Lonely Planet. Retrieved 5 March 2011. ^ Fildes, Nic (2 October 2007). "BBC gives Lonely Planet guides a home in first major acquisition". The Independent. Retrieved 5 March 2011. ^ a b c Charles Bethea (27 March 2014). "The 25-Year-Old at the Helm of Lonely Planet". Outside Magazine. Retrieved 26 May 2014. ^ "Asia's overland route". LiveJournal. 20 July 2006. Archived from the original on 24 February 2012. Retrieved 5 March 2011. ^ MacLean, Rory (2007). Magic bus: on the hippie trail from Istanbul to India. Penguin Books. ISBN 978-0-14-101595-8. ^ Wheeler, Tony; Wheeler, Maureen (2007). Unlikely Destinations: The Lonely Planet Story. Periplus Editions. ISBN 978-0-7946-0523-0. 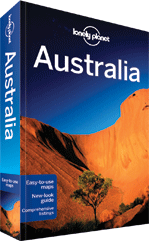 ^ "Lonely Planet Publications Pty Ltd". fundinguniverse.com. Retrieved 5 March 2011. ^ a b c Carole Cadwalladr (7 October 2007). "Journey's end for the guidebook gurus?". The Observer. Retrieved 26 May 2014. ^ Emily Brennan (7 June 2013). "A Lonely Planet Founder Looks Back". The New York Times. Retrieved 26 May 2014. ^ Tony Wheeler (1975). Across Asia on the Cheap: A Complete Guide to Making the Overland Trip. Lonely Planet Publications. ISBN 978-0-9598080-2-5. ^ Steves, Rick (24 November 2007). "Tony Wheeler's "Lonely Planet"". ricksteves.com. Retrieved 24 November 2007. ^ Mark Sweney (18 February 2011). "BBC to buy out Lonely Planet". The Guardian. Retrieved 26 May 2014. ^ "BBC takes last slice of Planet". The Sydney Morning Herald. 20 February 2011. Retrieved 5 March 2011. ^ Eric Pfannner (19 March 2013). "U.S. Buyer for BBC's Book Unit on Travel". The New York Times. Retrieved 26 May 2014. ^ "Thorn Tree Travel Forum". Lonely Planet. Retrieved 5 March 2011. ^ Mary Fitzpatrick; Tim Bewer; Matthew Firestone (2009). East Africa. Lonely Planet. p. 290. ISBN 978-1-74104-769-1. ^ Clampet, Jason (3 November 2014). "Skift Forum Video: Lonely Planet's CEO on the Future of Travel Content". skift.com. ^ "Lonely Planet: Roads Less Travelled". National Geographic Channel Australia and New Zealand. Archived from the original on 6 November 2009. Retrieved 24 August 2010. ^ Todhunter, Colin. "Madras and The Lonely Planet People". hackwriters.com. Retrieved 24 August 2010. ^ Priestley, Harry (July 2008). "Pictures courtesy of Lonely Planet Publications". chiangmainews.com. Retrieved 10 August 2010. ^ a b Ben Doherty (30 May 2011). "Suu Kyi's party ends opposition to tourism". The Sydney Morning Herald. Archived from the original on 2 June 2011. ^ "Unions call to boycott Lonely Planet". 22 February 2008. Retrieved 24 August 2010. ^ Wheeler, Tony; Wheeler, Maureen. "Responsible travel". Lonely Planet. Retrieved 24 August 2010.